Sometimes saying "hello" is the best way to get started. Good first impressions are important. It doesn’t matter if you are trying to introduce yourself to a potential mate, a prospective employer or someone who might be a new friend. You want other people to like you, and you probably hope that they like you right away. You can’t force the folks you meet to like you, and remember, you can’t win everyone over, but there are certain things you can do to get people to like you—fast. There are folks, and you could be one of them, that might not care (or may claim not to care) whether or not others like them. You should care. If people like you, your life will be better and easier because other individuals will be nicer to you, will be more willing to help you, will want to do things for you and will go out of their way to make you happy. People that don’t like you won’t recommend you for jobs, and employers probably won’t hire you if they don’t like you. People that don’t like you will not think to introduce you to a friend that might make a good potential mate. If someone doesn’t like you, they won’t tell you about an amazing business opportunity or a big party. When other people don’t like you, you miss out. You don’t get the chance to make connections, and certain opportunities will never find you. To get the most out of life and have the best experience with other people, you need to get them to like you as soon as you meet them. It’s really easy. If you like people, they will like you. When you like someone, you are friendly and warm with them. You will smile at them and make them feel safe and welcome. They will pick up, maybe subconsciously, on these cues, and they will start liking you in return because people enjoy it when they are liked and want to surround themselves with people who like them. There are some folks who just aren’t people persons. If you are one of them, pretend that you like others – all of them. Tell yourself out loud that you are a people person, and before you step out the door for the day, say to yourself, “I like people.” Eventually, it will all start to stick, and being a people person will no longer be only an act. For the most part, people like it when they are the center of attention. Folks love to talk about themselves, and so it follows that they also dig it when others talk about them. When meeting new people, steer the conversation to the other parties. If you know anything about the people you are conversing with talk about that. Otherwise ask direct questions about their work, family life and where they are from. Try to slip in some sincere compliments as well; people also love to be flattered. Without getting into the science of it, people like people that look and act like they do (this is called building rapport). When a first meeting is going well, you might notice that the other person takes a sip of water when you do or just happens to brush a hair off of their forehead at the same time you do. They aren’t playing copycat, but their brain makes their actions start to sync up with yours when they start to like you. You don’t have to wait until your brain flips on the autopilot. You can speed up this process by very casually and discretely mirroring what the other person is doing. If they have their legs crossed, cross your legs. If they rub their neck, you rub yours. Whatever you do though, don’t make this obvious and don’t try to mirror everything they do because you will get the opposite result. You could end up making yourself look weird or creepy, and it could also look like you are mocking them. Again, you can’t make people like you, but you can do a lot to make yourself more instantly likeable. 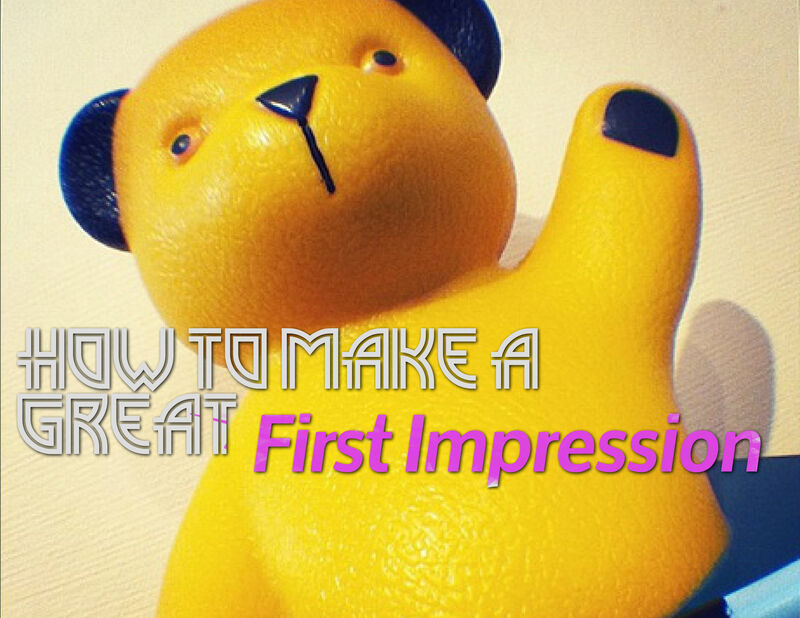 The tips offered above are by no means exhaustive, but they will get you on your way to making better first impressions. Whether on a job interview or a first date, you can use these hints to make yourself more instantly likeable and more successful in connecting with others. Thanks for this Julie! I especially like "Act Like They Do". It definitely helps build rapport with the other person, especially when it comes to speech and body language. Im in PR and find this trick to be very useful when meeting clients. I think the key is to just be friendly. It's hard to not like someone who always has a big smile on their face! Choose a Top Coach for interpersonal skills	success today! Personal Development is VERY Fishy!